Take a cardboard box and make a pyramid out of it. You can use hot glue or tape to secure it, you are also going to be using glue to hold the tissue paper on top, so it will have a strong hold eventually. Next begin making small slits in your tissue paper roughly an inch apart but do any size you like. You then need to cut strips about an inch above where the slits stop. Start from the bottom and work your way up pasting the strips all the way around the pyramid, overlapping as you go. 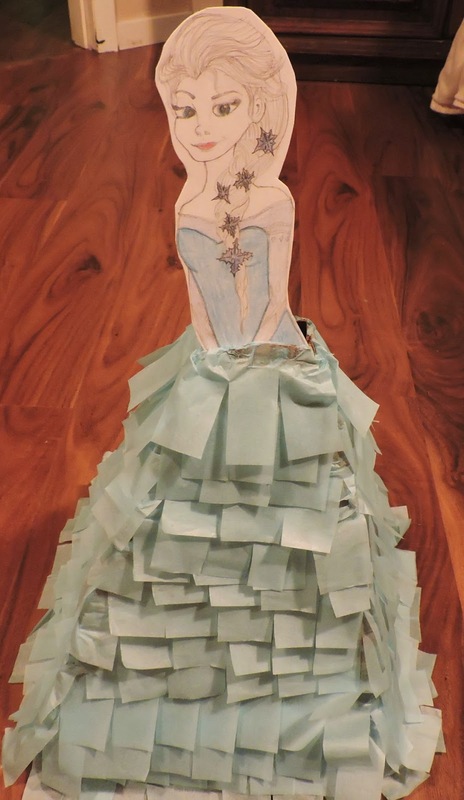 When your finished you will have something like this to be her dress. Mine is not quite complete yet I had to order some blue tulle to be her cape and some snowflake stickers to place all around her dress but other then that this is the hardest part. 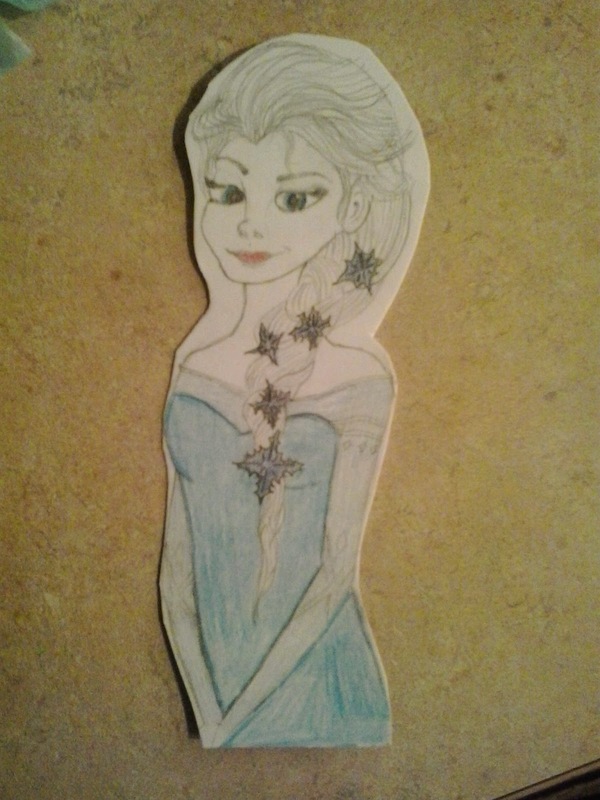 I'm not one to brag but I am a bit of an artist so I decided to draw my own Elsa for her pinata top.You can easily just print one and glue it some some cardboard so it works. 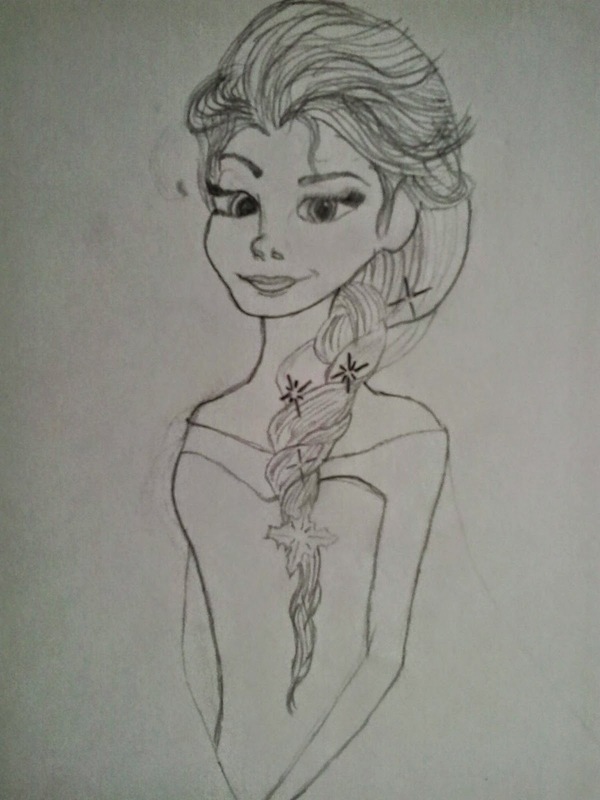 I drew mine on a white cardboard box and then colored it and cut it out. That will be your top of the pinata you just glue to the top after you fill it with candy. And that's it. 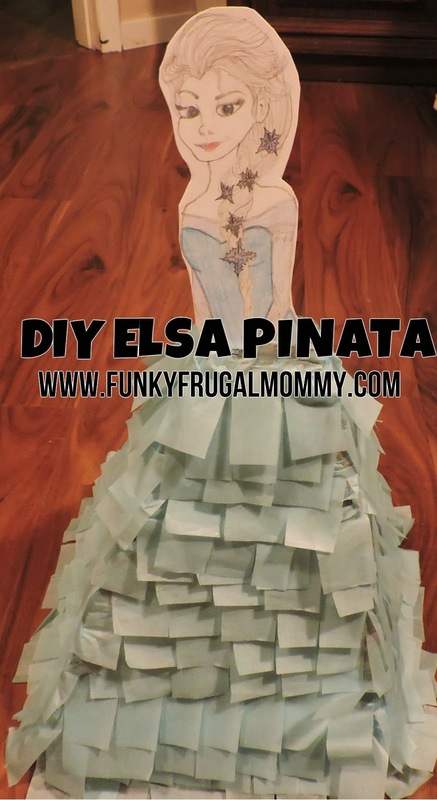 This beautiful pinata that is going to be smashed to bits cost me exactly $3.50 for the tissue paper, tulle (not shown), and snowflake stickers (not shown). Nice! This is very creative. Being artistic and creative can save you a lot of money right? I never got to smash piñatas as a kid but id love to one day.